As TORQ Performance Running makes it’s move to include all the differing running disciplines (and no longer focuses purely on Trail running), we’ve a few new faces to introduce to you. 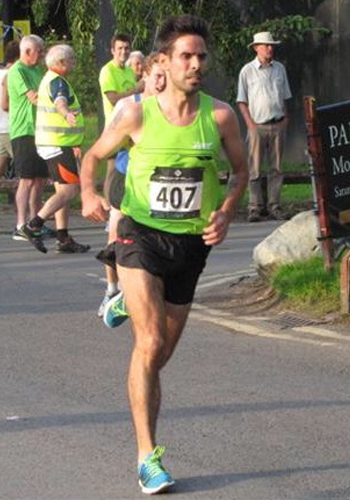 Stu Robinson is a 36 year old road running specialist from Lancashire who specialises in Marathon distance races. Stu regularly races in Winter X-Country events and also a little on the track. Stu has been running competitively for 10 years, and 6 years ago he decided to take the Marathon distance quite seriously. With 10 Marathons now in the bag, Stu has managed to get his PB down to a very respectable 2.22 and is training hard to bring that down even further. His main goal over the next couple of years is to break the magic 2.20, and he hopes to do this under the watchful eye of his current coach Helen Clitheroe. Stu and Helen have been working together for the last 12 months. Stu’s proudest achievement in his career so far was obtaining the honours of representing England over the Marathon distance in Canada. Stu is really enjoying his running at the moment and will be working hard in the hope to improve all his Road PB’s over the next few years.